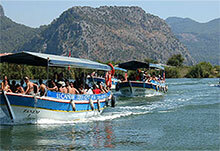 There are various Daily Excursions from Dalyan by either boat or road to all of the local areas. In summary a unique destination full of culture, charm, history and contrasting beauty, excellent cuisine and unforgettable hospitality. A resort that you will undoubtedly return to year after year. 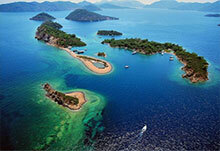 Ekincik Bay is an excellent place to relax and take a break for swimming and sunbathing. 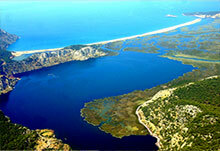 You sail down the river from Dalyan to the open sea. After passing the island with the hole through it, just off Iztuzu beach, we bear right towards the impressive bay of Ekincik. In snorkellers paradise there is a cave, where you can jump into the crystal clear water and snorkel through the cave to the other side, where the boat will pick you up again. 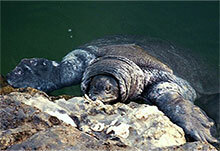 In the cave, there is lots of underwater life and fantastic coloured rock formations. Once everybody is back on board, you sail on to another smaller bay. While the captain prepares your lunch, the boat is anchored to allow you to snorkel, swim or just stay on board and relax. After lunch, move on to yet another local bay, where you can experience diverse underwater life and enjoy the beautiful beaches and scenery. Later in the afternoon, back to Dalyan. In 1 hour you meet your guides and the other rafters at the raft base in the small village. At the base you can get yourself something to drink and taste the home made pastry. Once everybody has his gear, life jacket and helmet, you hop on another minibus with the rafts on top which will take you in 1,5 hour to the start point of the rafting. The minibus safari leads over dirt roads through some small Turkish villages. 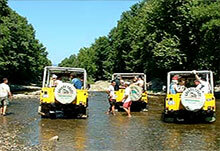 At the start point you get a safety briefing and then off you go on the wild running class 3-4 Dalaman river. The river starts easily so you can get used to all the comments that are being used on the river. 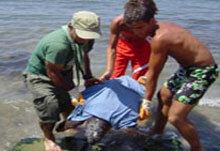 The second part is more wild and let you experience the real rafting. During the trip are enough opportunities to jump out the raft and have a swim in the river. Some times you go on shore and have a relax swim in a freezing cold creek or you can make rock jumps. When the old bridge appears again in your sight it means end of the adventurous and exhilarating trip. At the base you can put on dry clothes and while you enjoy your late lunch you can watch the video of your rafting trip. Saklikent is translated as hidden paradise and it was discovered by a shepherd many years ago. Until the time of discovery nobody realized how mysterious and beautiful the deep canyon was. Saklikent is a 15km canyon and one of the longest in the world. Walking in the fresh invigorating water of the canyon is really fun. The smell of nature and trekking in the canyon will give you a good appetite. After a good restaurant lunch you will be taken to one of the most important and atmospheric cities of Lycian Federation. Tlos is one of the largest settlements of Lycians who settled in the area between Caria and Pamphylia. 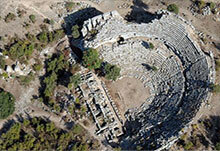 At the ruins you will see the relics of Lycian and Roman times. The talented craftsmen of this ancient city created amazing works of arts. The amphitheatre and the Roman bath, the market place, the sarcophaguses of the king's three sons and various rock cut tombs and not least the burial place of the common people on the steep cliff face of the settlement. Fethiye is well worth a visit. There are now many hotels and restaurants, mostly situated around the marina. Every week "Tuesdays" there is a market where most things can be found. 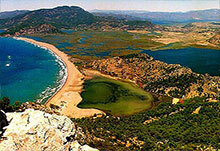 Drive to Fethiye, you will be passing through some breathtaking mountain. Once in Fethiye, you will be taken to the market place for a chance to buy some Turkish wares. Later, lunch will be served in a famous restaurant near the deserted Greek village Kayakoy. And, your guide will tell you the interesting story relating to this old deserted Greek village. Of course for many, the highlights of this trip will be our visit to Oludeniz "Blue Lagoon" one of the most photographed scenes in Turkey. After a short break for swimming, this beautiful place concludes trip. to make you looking 10 year younger. One of Dalyan visitors make this videos. 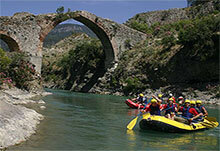 You will join to Dalaman whitewater rafting. 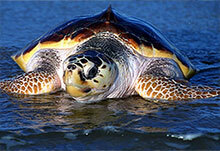 One of the main occupants of the Dalyan's fresh water.